The second of our #ScoutingTalent event series. Scout, Your personal recruiting expert. Save time & money sourcing qualified candidates. Let Scout find the best talent for your team. On April 19th, 2017, we gathered over 150 founders and HR executives for a discussion on how we can build conscious leaders and mindful workplaces. This was the second event in our #ScoutingTalent event series. Our goals with this event were to elevate the importance of mindfulness in the workplace and to provide our audience with tactical ideas to bring back to their organizations. A fun hyperlapse as we set up for the evening. We were joined by a panel of inspiring executives whose experiences range from high growth startups to the Fortune 500 including: Kathryn Friedrich, Chief Marketing Officer, Thrive Global; Katelin Holloway, VP of People & Culture, Reddit; Lilly Wyttenbach, Executive Director, Global Wellness Manager, JPMorgan Chase & Co and Nichol Bradford, CEO & Founder, Willow Group. 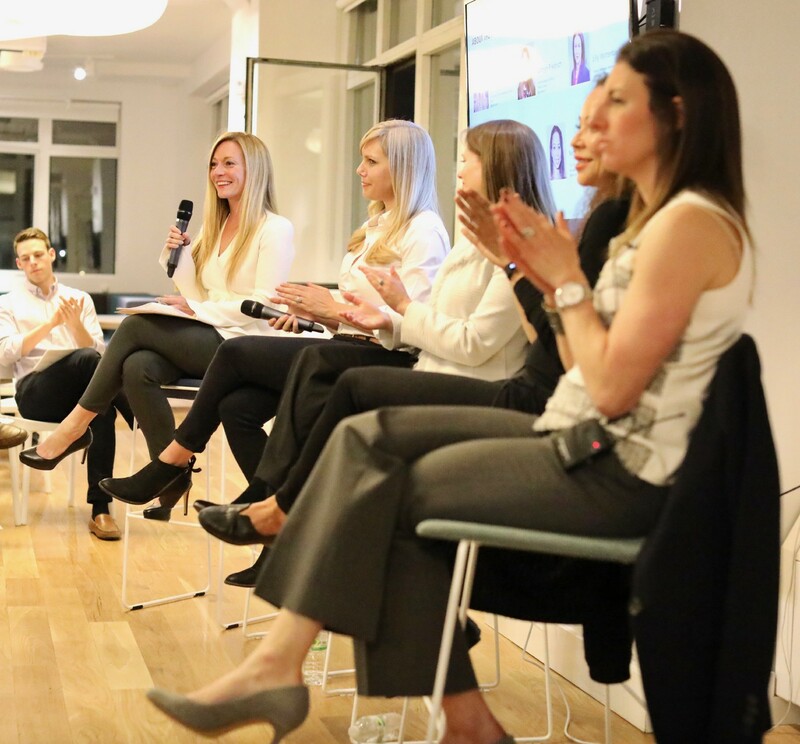 Our panelists shared their candid experiences, war stories, recommendations and tactical tips for an audience that hails from the largest and fastest growing companies in the New York City area. Our panel began with a “pattern interrupt” breathing exercise led by Nichol Bradford to help us experience the benefits of just a few moments of mindful breathing. For those who were unable to join here is a video of the panel as well as the Q&A. Branding matters. Be thoughtful about the branding, fit and terminology you use. The word “mindfulness” can sound scary to some while overly soft to others. Is it better to call a session “Mindfulness Training” or perhaps something more results-oriented like “5 Tips for Better Sleep”? Re-branding with a focus towards the positive benefits and outcomes may help improve engagement. Give yourself the permission to be imperfect. Give yourself permission to be imperfect. As leaders, we have so much pressure on ourselves, and it is important to remember to give yourself some space. Space to be imperfect. Space to be messy. Space to try new things. Space to fail. Space for learning and growing. Be strategic with your workplace design. Think about the design of your office and whether the layout encourages mindful moments. Are there places where one can focus without distraction, meditate, rest, etc.? Mindfulness myths: Myth 1: It takes a long time to see the results of a meditation practice. Reality: No, with proper fit, the benefits come fast. It’s like wearing shoes that are too big or too small versus just right. Having the right sized shoes makes walking that much easier. Myth 2: Meditation = Mindfulness. Reality: Meditation is just one type of mindfulness practice. Lose the color, lose the interest. Turn your phone to grayscale. It turns out our reptilian brains love color. By turning our phones to grayscale, we will be less interested in our screens and thus less addicted to our devices. Designing mindful meetings: Intention setting for a meeting can be thought of like a meeting agenda. What’s the goal? While all meetings need a start time, do they really need an end time? Once the agenda has been met, move on. To encourage presence, put devices away. Also try a standing meeting. Being on your feet has a way of focusing the mind on the matters at hand. When asked what were their favorite tools, books and apps, the panel highlighted the following: Headspace, [email protected] and Thrive. A huge thank you to our co-host Thrive Global and our event sponsors, Lever, Mindsail and Grovo. All #ScoutingTalent attendees received a gift bag courtesy of Scout, Thrive, Mindsail, Grovo, Lever, KIND Snacks, and Headspace.